It’s been awhile since we last saw iridescent nohow, but he’s back with a whole slew of micro builds that will make you think twice about a lot of pieces. I was going to point out all the extremely clever piece uses here, like the drum sticks, the little flesh hands and each of the mini-micro figs … but at eight studs long it’s pretty easy to see all the nice piece usages. (Though I will point out the fantastic Red Ruby Slippers on Dorthy). 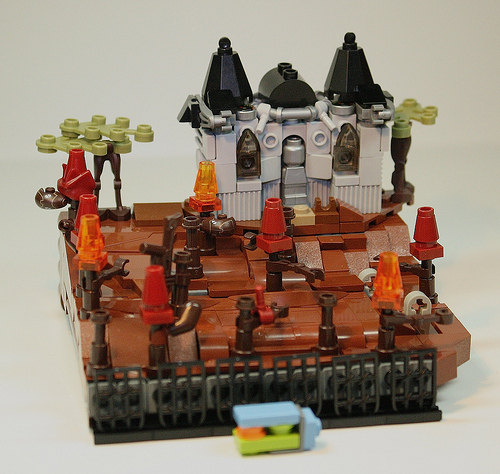 Don’t forget to check out more of his recent micro builds on his photostream.